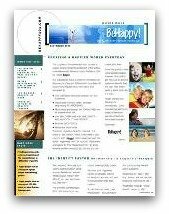 All this and more is available here at BeHappy101.com. peace-of-mind, you can find it here. From a health perspective, our world is in big trouble - and it's getting worse. Over 60% of Americans are overweight (the rest of the world is catching up) and it is predicted that by 2030 it will be 80% of Americans will be overweight and then by 2200 it goes to 100%. Our poor health is at epidemic proportions and it's only going to get worse. I am a physician and I have seen it first hand. Diseases like cancer, diabetes, Alzheimer's Disease, auto-immune disease, heart disease and even depression are all likely caused by inflammation in the body. The sad thing is that it is SO easy to change (but the drug companies - and even many doctors - don't want it to change). Drug companies and doctors would suffer greatly (financially) if everyone was healthy, lean, and fit - and didn't need to take prescription drugs for years or decades in older age (or now, even at younger ages). So, many of them downright LIE about the situation. Others just ignore the truth. A great free ebook explains it all, tells the TRUTH, and has the answers. Click here to download your free copy of this valuable ebook.